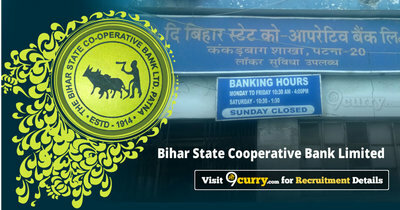 Bihar State Cooperative Bank Result 2019: Below are the latest results published by Bihar State Cooperative Bank - Bihar State Cooperative Bank Limited (BSCB) / www.biharbank.bih.nic.in. The recent result announced by the organization is Assistant, Asst. Manager Result 2019. Bihar State Cooperative Bank Limited Assistant, Asst. Manager Result 2019: Bihar State Cooperative Bank Limited (BSCB) has announced the Result on 18 Jan 2019 for Assistant, Asst. Manager Exam 2019 which was conducted on 04 Jan 2019.